Castagnaccio is a plain chestnut flour cake, typically found in the Tuscany, Liguria, Piedmont, Emilia-Romagna regions of Italy. It is a typically autumnal dessert, made by a dough of chestnut, water, olive oil, pine nuts, and raisins, and baked. Serve Castagnaccio lightly warm or at room temperature. 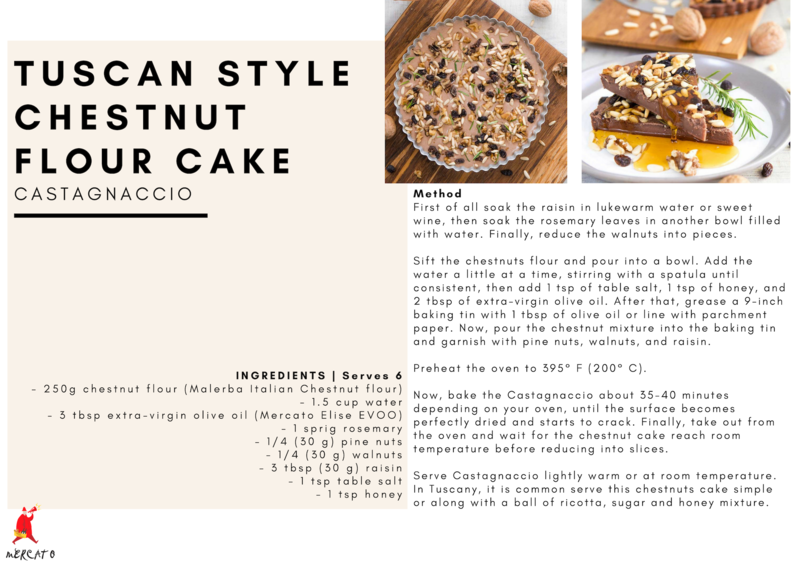 In Tuscany, it is common serve this chestnuts cake simple or along with a ball of ricotta, sugar and honey mixture.